Trinseo (NYSE:TSE), the global materials solution provider and manufacturer of plastics, latex binders and synthetic rubber, announced today that its Consumer Essential Markets (CEM) business unit has partnered with Advanc3D Materials, a materials supplier for additive manufacturing, to produce filament made of Trinseo resins. These specialty resin grades not only have the elastomeric properties required for additive manufacturing but also include – depending on the grades -- biocompatibility testing, FDA food contact compliance, ignition resistance and matte and glossy finishes. Trinseo resins are currently used by customers in the CEM industries of Medical, Lighting, Electrical and Consumer Electronics sectors. For further information or to arrange for filament samples, contact your Trinseo representative or the Trinseo Customer Information Group. Spools of material are available in 1.75 mm and 2.85 mm diameters, to accommodate the two 3D Fused Filament Fabrication (FFF) printer options. Trinseo (NYSE:TSE) is a global materials solutions provider and manufacturer of plastics, latex binders, and synthetic rubber. We are focused on delivering innovative and sustainable solutions to help our customers create products that touch lives every day — products that are intrinsic to how we live our lives — across a wide range of end-markets, including automotive, consumer electronics, appliances, medical devices, lighting, electrical, carpet, paper and board, building and construction, and tires. Trinseo had approximately $3.7 billion in net sales in 2016, with 15 manufacturing sites around the world, and nearly 2,200 employees. 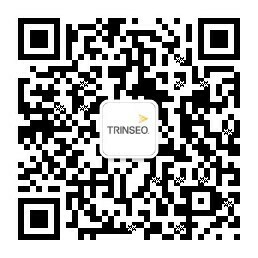 For more information visit www.trinseo.com. Advanc3D Materials GmbH is a material producer for additive manufacturing located in Hamburg, Germany. The portfolio includes FFF filaments and SLS powder. The core competence is the development of 3D printing material based on plastic. The superiority of the products results from the chemical expertise and the process competence built up on a wide range of 3D printing machines. The products are offered worldwide. For more information visit www.advanc3dmaterials.com.